Gift certificates are PERFECT for any occasion, including Birthdays, Graduations, Weddings, Holidays, Anniversaries, and more! A gift certificate to The Circus Arts Conservatory is a thoughtful and unique present for your loved ones and friends. Our Gift Certificates never expire and can be purchased individually or in multiples starting at $25! Thank you for your interest in our classes! You’ll be able to choose the gift card type and the total attendees you’d like to purchase for. An email will be sent with a voucher that you can print out and give in person. You will also have the option to send a voucher email directly to the recipient during your purchase. STEP 1: To make your purchase, select one of the gift card options listed above. STEP 2: You’ll be taken to our Mindbody site where you will again choose the appropriate gift card in the drop down box. STEP 3: Fill out the form, select the corresponding image and then click the “Make Purchase” button. STEP 4: Confirm your cart is correct and click the “Check Out” button. You’ll be asked to create a user account adding family members or log in if you already have one. STEP 5: Enter your payment information and click the “Complete Purchase” button. STEP 6: Keep an eye out for your receipt and voucher emails from mindbodyonline.com. When you have decided the date you’d like to attend class (schedules are listed on our class pages), send an email to jtaylor@circusarts.org and we will apply your credits and enter the recipient into that class. Jacqueline Taylor at 941.355.9335 ext. 316 or by email at jtaylor@circusarts.org. Click HERE to Open Maps! While the arena at the Circus Arts Conservatory site on Bahia Vista Street may be under construction, the show must – and will – go on for children seeking a more adventurous summer camp experience. From June through August, the Circus Arts Conservatory (CAC) will offer its popular Circus Summer Camp at the East Gymnasium at Sarasota High School. A truly unique experience. Campers learn Flying Trapeze disciplines and then showcase their new skills with a costumed performance with friends and family invited to watch. Our Specialty Youth Flying Trapeze Workshops provide the opportunity for campers to participate in 3 days of core strengthening and team building activities. Students will learn tricks and skills to the net first and then will be able to test their skills to the catcher throughout the week. A performance will be scheduled on the last day of the workshop to showcase what they’ve learned. Flying Trapeze intensive/camp will be 3 days of core strengthening and team building activities. Students will learn tricks and skills to the net first and then be able to test their skills to the catcher through the week. The goal of this workshop is to produce results in both physical skills as well as mental focus and confidence. This activity requires participants to be present in the moment and to have a general sense of adventure. If nothing else it will put the fun back in learning a new skill or appreciating and perfecting the skills one already has. Each day will start with roll call and a group effort of through safety checklist of net and trapeze together. This will teach the students that the most important aspect of this activity is safety and include introductory lessons in how trapeze works. The group will then stretch and warm up together while discussing plans for the day. Once the students get flying, coaches will asses what skill set would be most productive for each individual student. After two hours of flying, a cool down period will begin. This will typically last 15-20 minutes while plans for the last hour will be discussed and a light snack will be enjoyed (typically fruit and/or granola bars). Each student will have their own individual lesson plan, but will all be learning the basics of flying trapeze. On Friday afternoon- Parents and family come watch your student(s) and see what they have learned over the past 3 days. Presentation will begin at 12:15. This pricing is for Session 1 Specialy Flying Trapeze Workshop ONLY. No discounts apply. These prices in the chart do not include the registration fee. Please make a mental note when totaling tuition. What are the ages for Circus Summer Camp? What are your Circus Summer Camp hours? Can I print out or pick up a registration form? Do you have before care and aftercare? How much does before care cost? Do you have before care and aftercare sibling discounts? Yes – take $5 off the session prices for siblings. For example a family with 2 children enrolled in before care would pay $25 for one child and $20 for the second child. Do you have per day before care and aftercare prices? Yes. $10 drop in before care charge per day / per student. Space is limited. Enrollment on a first come first served basis. $20 drop in aftercare charge per day / per student. No discounts offered for drop-in students or siblings of drop-in students. Where is your Circus Summer Camp located? Our camp is located in the east Gym of Sarasota High School. The corner of Shade Ave and Hatton St.
What should my child wear to circus camp? Circus girls: leotards or one piece bathing suits with leggings or shorts to go over leotards; hair ties (hair must be up if long), closed-toe shoes and socks are preferred. Circus boys: tee shirts, gym shorts, briefs (no boxer shorts), sliders or leggings for aerialist, closed-toe shoes. What should my child bring to camp every day? 1) Healthy lunch, 2) refillable water bottle with your Child’s’ name on it, 3) a smile! What should my child NOT wear or bring to camp? 1) We do not allow soda, gum or candy, cookies other junk food at camp. Please don’t send it with your child. 2) ABSOLUTELY NO NUT PRODUCTS AT CAMP!!!! 5) NO Electronics such as cell phones, laptops, mini computers, Ipods, MP3 players, money or checks, or portable game consoles. Yes, healthy snacks are provided twice a day. Students with special dietary needs should provide their own snacks. Where should I drop off my child, do I have to come in? Drop off and pick up will held at the east gym on the campus of Sarasota High School. There is parking loop in front of the gym located on the corner of Shade Ave and Hatton St. Please park and come inside to collect campers. What are the dates of the Showcase Programs? All showcases start at 4:30 pm on the last Friday of each session. Are the Showcase Programs free to attend? Beyond immediate family, we ask for a small donation of $5 per person to support the outreach programs that operate at the CAC throughout the year. What is a typical day like at Circus Summer Camp? How are the students separated into groups? The students are separated first by age into a HOME group where they will have 1 counselor and 2-3 junior counselors assisting them; and then by interest and ability into a SHOWCASE ACT group. Showcase acts groups will encompass all ages and have a lead trainer that may or may not be the same counselor as their home group counselor. How does the camp place the students into their Showcase Act groups? On the first day of camp we conduct a “round robin” and have the student try out each of the different acts that are offered for that session. The counselors evaluate each student at the end of the different events. The students are evaluated on their ability to take direction, natural talents, potential to learn, strength, prior circus or comparable experience, and general attitude. The students also provide us with their top 3 choices of acts at the end of the round robin experience. Based on the counselor recommendations and the student’s interest, we cast the acts for the showcase. If my child does not make it into their top choice, will they still have a chance to practice that activity at camp? Water Day is typically the first Wednesday of the session. We rent a giant waterslide and set it up so that the students have a chance to literally cool off during the week and give their bodies a break from the showcase training schedule. On Water Day the students will have an exciting opportunity to fly on the aerial straps and flying trapeze. What should I pack on Water Day? A swimsuit, towel, change of clothes. Please apply sunscreen prior to camp or send campers with spray sunscreen. What if it rains on Water Day? If Water Day is slated for rain, we typically set up the waterslide inside, or have a camp wide circus relay Olympics. Are there scheduled field trips? Yes! During the two-week camp programs, we take the campers to The Ringling to see a professional circus show at The Historic Asolo Theater and explore the circus museums. This occurs during normal camp hours so drop off and pick up will happen from the SHS EAST GYM. Parents will be notified before the scheduled trip. Will Circus Summer Camp be able to offer the same circus activities at the SHS Gym? Yes! Circus Camp will still offer a variety of aerial and ground disciplines at the SHS location. Is the SHS Gym air conditioned? 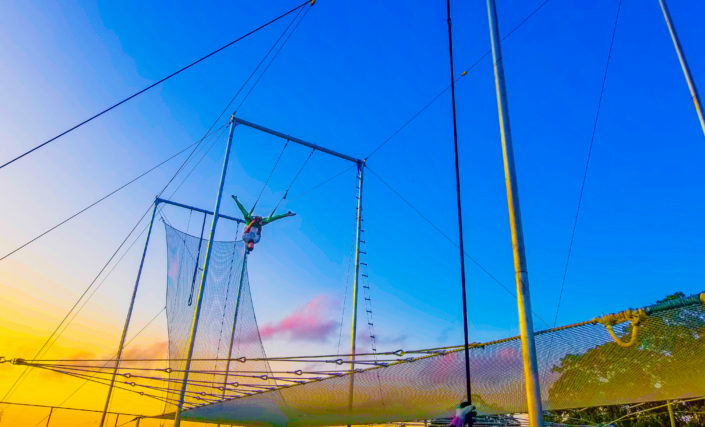 Will there still be a chance for campers to fly on the trapeze? Yes! We will setting up an outdoor flying trapeze so that the trapeze experience will still be available to our Summer Camp Program. Where is the Friday showcase held? What are the showcase dates? All families must pay a non-refundable registration fee of $25 once per summer, per student. Register for two sessions take $25 off the total tuition price. Register for 3 or more sessions take $50 off the total tuition price. Only to be used once per family, per summer. One child will be at full tuition price. Each additional sibling can take $25 off the tuition price. If the same family enrolled both children for an additional 1 week session the cost of the tuition for the first child would be $275.00 (-$25.00 multi-week discount) and the cost of the second child would $250.00 (-25.00 sibling discount). The cost for a third sibling and any addition siblings after the first week will be $250.00. Camp hours are 9 a.m. to 3p.m. Campers should arrive between 8:50 a.m. & 9 a.m. and must be picked up by 3:15 p.m.
$25 for 1 week session; $50 for 2 week sessions. Siblings take $5 off the weekly price. Single day rates for before care- $10 and for after care $20 per day. Based on availability, no discounts for siblings for single day reservations. Snack included, 35 minutes of circus programming, movie time-schedule available upon request. Single day rates for before care- $10 and for after care $20 per day. Based on availability, no discounts for sibling for single day reservations. Campers are enrolled on a first come, first served basis as per the date of receipt of the registration application in Mindbody and Google sheets or hard copy receipt. Confirmation of enrollment and receipt, along with an invoice for balance due (if applicable) will be sent via email. Balance is due in full at the time of registration. When a camp session fills, a wait list is started. Applicants will be notified of their wait list status by email. Registration fees must be process to get on the waiting list. Tuition fees are not processed until applicants are placed in a session. Session change requests are based on availability of spaces in camp. You may change your reservation in Mindbody up to 8 days prior to the session start date. If the session you’d like to move into has spaces available, please add your child(ren) to that session. If the session is full, please add your child(ren) to the waiting list. If you don’t get into the waitlisted session, a credit will be available on your account. Refunds will not be processed for cancellations or schedule changes.. If you filled out a paper application please call 941.355.9335 ext 321 to request a schedule change. Tuition already paid can be applied to another week of camp during the enrollment period of the summer. There are no refunds for cancellation, or schedule changes. There will be no refunds given after a session of camp begins. There are no refunds for campers dismissed from the program due to disciplinary reasons, campers found with evidence of lice (see our lice/nit policy) or for familes who choose to withdraw a camper early from a program already in session. If camper leaves due to an injury incurred at camp, a pro-rated portion of the tuition will be refunded. If a camper is injured prior to attending a scheduled session, a credit will be applied to the account that is good for 12 months. Camp reserves the right to make exceptions to this rule without setting precedent. Parents/Guardians are required to sign a general release and waiver of liability and indemnity agreement prior to camper being placed in a session. In addition to a release proof of insurance is required for all campers. Drop off and pick up parking are located in the EAST PARKING Lot of Sarasota High School. Please see the Map. Parents/guardians must come inside and sign campers in and out every day. If someone other than you is allowed to pick up your child, please indicate who that is on the registration form under who is authorized to pick up this camper? Additionally, ID may be required for pick up. Circus camp is closed space and we do not allow parents or guests to spectate during the training times without approval from the camp director. Snack will be provided twice daily by THE CAC. Bring a water bottle to refill during the day. Snacks are fruits and veggies, and other healthy options. If your child has special dietary needs, please supply special snacks. ABSOLUTELY NO PEANUT BUTTER AT CAMP! Parents, please refrain from packing peanut butter sandwiches, other nut products in your children’s lunches. Campers need healthy lunches to supply them with enough energy to excel. Please send your child to camp with a good protein source and fruit and/or vegetables. We do not allow soda, gum or candy, cookies other junk food at camp. Please don’t send it with the students. Campers should wear clothing that is easy to move in and appropriate for being upside down. Circus girls leotards or one piece bathing suits with leggings or shorts to go over leotards; hair ties (hair must be up if long), closed toed shoes and socks are preferred. For Circus boys tee shirts, gym shorts, briefs (no boxer shorts), sliders or leggings for aerialist, close toed shoes. Foot protection is very important at camp. Crocs are perfect camp shoes. We do not have secure lockers for personal valuable storage. NO Electronics such as cell phones, laptops, mini computers, Ipods, MP3 players, e-readers, money or checks, and portable game consoles. If such items are brought to camp and are lost, stolen or damaged The CAC is not responsible. Personal hygiene is very important for your health and our safety. Body to body contact spreads germs so keep your body clean. All cuts or open wounds must be covered with a bandage. Please do not share clothes, hair ties, combs or hair brushes. Do not share drinking containers. Wash your hands often and use the hand sanitizers located throughout the facility. We do our best to keep the facility and equipment clean with regular sanitary maintenance. You must do the same yourselves. All campers will adhere to the full values contract below. Full Values Contract is a verbal agreement within a group to try, support, and encourage everyone to achieve their personal best. The F.V.C. is used to secure the bonds of teamwork, perseverance, and dedication in a learning environment. We will ask the campers to abide by the following philosophy: “I will try everything and be respectful to my instructors; I will try everything and support and encourage myself and my friends; I will model this behavior all the time because I am a leader by example”. Parents please discuss examples of good behavior with your children to aid in the cohesion and flow of camp functions. The consequence for not adhering to this policy is removal from camp activities, removal from the showcase or dismissal from camp. Bullying will not be tolerated under any circumstances. On Friday (see schedule below) at 4:30 pm we will end the camp experience with a showcase for friends and family. During sessions 1 and 3 we will conclude our two week camp with a showcase for friends and family on the second Friday. All campers may invite people to attend the showcase. Beyond immediate family, we ask for a small donation of $5 to support the outreach programs that operate throughout the year. Parents can take photos of campers in costume from 4-4:30. The show will last approximately 45 minutes. Parents please dress comfortably, the gym is not air conditioned. We will have refreshments on hand, as well as camp merchandise available for purchase. After the show, campers will need to change out of their costumes back into clean clothes. Please send campers with a fresh change of clothes on showcase Friday. Campers will stay with us all day on Friday to prepare for the show. We will feed them pizza, salad and fruit for dinner. Please pack extra snacks or dinner for them if they do not like pizza or have a food allergies. We do not have a microwave available. On the first Wednesday of a new camp session, we will be taking a break from our usual programing and offer a circus relay and a water slide. Students are encouraged to bring sunscreen, a towel and a change of clothes. Water play is not mandatory but encouraged. If it rains on water day we will set up alternative activities indoors. Waterday will not be reschedule during a 1 week camp. To sign your child(ren) up for our Summer Camp 2018 Session, please visit our Mindbody Site and follow the directions below. Create a New Account by entering the email you would like your receipt and reminders sent to and click the Next button. Create your password (make sure to check the box for receive notifications and reminders). Click the button for Add Family Member and enter the information for the child you are enrolling. (Make sure to click YES in the Paid For By New Client section). (Make sure to ADD YOUR EMAIL in their email spots, otherwise you will not get receipts for their enrollments). Click the Save button and STOP – If you have another child to enroll, click the Add Family Member button and repeat step 5. Once you’re done adding everyone, click the Create Account button. Click Edit and Add billing information you will use for payment(s). Click on the REGISTER<->2018 SUMMER CAMP tab on the top of your browser page (or HERE for the link). process will not function correctly and your child will not be enrolled in the session(s). Go to the “Register 1 Child” section and click the SIGN UP NOW! button. Scroll down and click the button ENROLL “Child’s Name” you’d like to enroll. Select what type of series you’d like to purchase. The pricing listed includes both the registration fee as well as the Sibling and Multi-Week discounts. They are listed based on the number of weeks and types of session (1 or 2 Week), so be watchful of your selection. (Precare and Aftercare, if desired, will be available for purchase at a later step). Your Total will be listed on the page. Scroll down and click the CHECK OUT button. ***You must click PLACE ORDER button to complete the purchase. Click on the ENROLL SUMMER CAMP 2018 tab at the top of the your browser page or click HERE. Search for the session you desire and click the Sign Up Now! Button. Click on the ENROLL SUMMER CAMP 2018 tab. Search for the next session you desire and click the Sign Up Now! Button. Repeat steps C through E for each session until you’ve enrolled your child in all sessions desired. Go to the “Register 2 Children” section and click the SIGN UP NOW! button. Scroll down and click the button ENROLL “Child’s Name” for the FIRST child you’d like to enroll. Select what type of series you’d like to purchase that ends with -ENROLL FIRST CHILD. The pricing listed includes both the registration fee as well as the Sibling and Multi-Week discounts. They are listed based on the number of weeks and types of session (1 or 2 Week), so be watchful of your selection. Your Total will be listed on the page for the first child. Scroll down and click the CONTINUE SHOPPING button. Scroll down again to the “Register 2 Children” section and click the SIGN UP NOW! button. Scroll down and click the button ENROLL “Child’s Name” for the SECOND child you’d like to enroll. Select the exact same Type of series you chose for the first child but select the option ending in -ENROLL SECOND CHILD. Your total will be listed on the page for both children. Scroll down and click the CHECK OUT button. Again, search for the same session you just chose for the first child and click the Sign Up Now! button. Repeat steps A through E for each session until you’ve enrolled your children in all sessions desired. Go to the “Register 3 Children” section and click the SIGN UP NOW! button. Your Total will be listed on the page for one child. Scroll down and click the CONTINUE SHOPPING button. Scroll down again to the “Register 3 Children” section and click the SIGN UP NOW! button. Your Total will be listed on the page for 2 children. Scroll down and click the CONTINUE SHOPPING button. Scroll down and click the button ENROLL “Child’s Name” for the THIRD child you’d like to enroll. Select the exact same Type of series you chose for the first and second child but select the option ending in -ENROLL THIRD CHILD. Your total will be listed on the page for all 3 children. Scroll down and click the CHECK OUT button. Again, search for the same session you just chose for the first/second child and click the Sign Up Now! button. Click on the PRECARE / AFTERCARE tab on the top of your browser page (or HERE for the link). Search for the Precare or Aftercare session that coordinates with the camp session you registered for and click the Sign Up Now! Button. Select the 1 CHILD – 1 One Week – Enroll Child option. Search for the first Precare or Aftercare session that coordinates with the first camp session you registered for and click the Sign Up Now! Button. Search for the next Precare or Aftercare session session that coordinates with the second camp session you registered for and click the Sign Up Now! Button. Repeat steps D through G for each Precare and/or Aftercare session until you’ve enrolled your child in all sessions desired. You will receive an email with your child’s Precare and/or Aftercare reservation along with your purchase receipt. Select the 2 CHILDREN-1 One Week Pre Care(Aftercare)-Enroll 1ST CHILD option. Your Total will be listed on the page for the first child for one session. Scroll down and click the CONTINUE SHOPPING button (or PRE CARE/AFTERCARE tab). Again, search for the same Precare or Aftercare session that coordinates with the camp session you registered for and click the Sign Up Now! Button. Select the 2 CHILDREN-1 One Week Pre Care(Aftercare)-Enroll 2ND CHILD option. Again, search for the first Precare or Aftercare session that coordinates with the first camp session you registered for and click the Sign Up Now! Button. Repeat steps A through G for each Precare and/or Aftercare session until you’ve enrolled your children in all sessions desired. Select the 3 CHILDREN-1 One Week Pre Care(Aftercare)-Enroll 1ST CHILD option. Select the 3 CHILDREN-1 One Week Pre Care(Aftercare)-Enroll 2ND CHILD option. Your Total will be listed on the page for the first/second child for one session. Scroll down and click the CONTINUE SHOPPING button (or PRE CARE/AFTERCARE tab). Select the 3 CHILDREN-1 One Week Pre Care(Aftercare)-Enroll 3RD CHILD option. Repeat steps A through K for each Precare and/or Aftercare session until you’ve enrolled your children in all sessions desired. For more information, contact us at 941.355.9335 ext. 321. Circus Summer Camp - Back in the Arena! A truly unique experience. Campers learn circus arts disciplines and then showcase their new skills with a costumed performance with friends and family invited to watch. 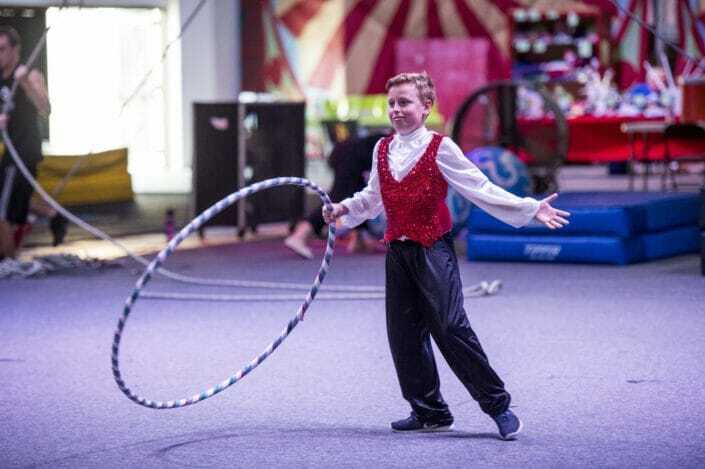 Circus Summer Camp returns to the Sailor Circus Arena for 2019! until the google registration form (link sent in your receipt email) is filled out for all children. Paying does not guarantee a spot. One and two-week sessions sell out quickly, so reserve your child’s spot in Circus Summer Camp Now! Circus Summer Campers learn a variety of circus arts including: triple and single trapeze, globes, silks, Rolla Bolla, hula hoop, low wire, clowning, flying trapeze, juggling, and much more! Circus Summer Campers enjoy a truly unique experience where they learn circus arts disciplines and then showcase their new skills with a costumed performance with friends and family invited to watch! A Typical Day begins with a warm up and group stretch, 1-2 warm up circus activities (like circus relay, low wire, unicycle, trampoline, hula hooping, or juggling) snack, showcase act rehearsal, lunch, theater games, arts and circus crafts, showcase act rehearsal, snack, check-out and group games, dismissal. Water Day: Typically the first Wednesday of the session. We rent a giant waterslide and set it up so that the students have a chance to literally cool off during the week and give their bodies a break from the showcase training schedule. On Water Day the students will have an exciting opportunity to fly on the aerial straps and flying trapeze. Field Trips: During the two-week camp programs, we take the campers to The Ringling to see a professional circus show at The Historic Asolo Theater and explore the circus museums. This occurs during normal camp hours so drop off and pick up will happen from the Sailor Circus Arena. Parents will be notified before the scheduled trip. Dress Code: Circus girls: leotards or one piece bathing suits with leggings or shorts to go over leotards; hair ties (hair must be up if long), closed-toe shoes and socks are preferred. Circus boys: tee shirts, gym shorts, briefs (no boxer shorts), sliders or leggings for aerialist, closed-toe shoes. • From Interstate 75- Take exit 210 heading West on Fruitville Rd/Historic Florida 780 W. Turn left (South) onto North Tuttle Avenue. Turn right (West) onto Bahia Vista Street. Our arena is located on the right with Parking available in the Sarasota High School parking lot adjacent to the east side of the building. • From US 41/ North Tamiami Trail.- Turn onto Bahia Vista Street. Our arena is located on the left with Parking available in the Sarasota High School parking lot adjacent to the east side of the building. Where is Circus Summer Camp located? In the newly renovated and air-conditioned Sailor Circus Arena located at 2075 Bahia Vista Street, Sarasota, FL 34239. Where do I park for drop off, pick up and summer camp showcase? Use the Sarasota High School parking lot (adjacent to the arena on the east side) for all summer camp needs. No, all registration is done online. Use the “How to Register for Summer Camp Guide” link on our website after March 18th. Is the Sailor Circus arena air conditioned? Yes, the hours are 8-8:55 am for before care M-F; and 3:15-5:30pm for after care M-TH . Space is limited. Enrollment is on a first come first served basis. Information to come March 18th. No, but we do provide refrigerated storage for your lunch containers from home. Except on Friday show day! We will have a pizza party for lunch. Parents should park in the Sarasota High School lot. All campers MUST be walked into circus camp and signed in and out each day. What are the dates and times of the Showcase Programs? All showcases are on the last Friday of each session. Yes! During the two-week camp programs, we take the campers to The Ringling to see a professional circus show at The Historic Asolo Theater and explore the circus museums. This occurs during normal camp hours so drop off and pick up will happen from the Sailor Circus Arena. Parents will be notified before the scheduled trip. We do offer need-based scholarships. Please email Tonia at tonia@circusarts.org for more information. Will there be a chance for campers to fly on the trapeze? All families must pay a non-refundable registration fee of $25 once per summer, per family. Single day rates for care $20 per day. Based on availability. If camper leaves due to an injury incurred at camp, a prorated portion of the tuition will be refunded. If a camper is injured prior to attending a scheduled session and it prohibits them from participating, we will consider a refund upon review of doctor’s note. A doctor’s note must be received prior to start of camp session in order to be considered for a refund. Camp reserves the right to make exceptions to this rule without setting precedent. Drop off and pick up parking are located in the Sarasota High School Parking Lot (EAST of the Sailor Circus Arena) Do NOT drive your vehicle into the open midway gate. Campers will enjoy a pizza lunch with salad and fruit on showcase Friday’s. If your child does not like pizza please pack a ready to eat lunch for them. We are not able to microwave frozen meals or leftovers. During two week sessions we will conclude our camp with a showcase for friends and family on the second Friday. Doors will open at 3:00PM. Parents may take photos of campers in costume from 3-3:30. The show will last approximately 45 minutes.All campers may invite people to attend the showcase. Beyond immediate family, we ask for a small donation of $5 to support the outreach programs that operate throughout the year. We will offer a limited summer menu in our concession stand. Camp merchandise available for purchase. On the first Wednesday of a new camp session, we will be taking a break from our usual programing and offer a circus relay and a water slide. Students are encouraged to bring sunscreen, a towel and a change of clothes. Water play is not mandatory but encouraged. If it rains on water day we will set up alternative activities indoors. Waterday will not be rescheduled during a 1 week camp. For more information, contact us at 941.355.9335 ext. 326 or 314. Join the latest and most exciting form of physical, athletic and mental training with our Circus Arts classes, camps, and workshops! A unique form of exercise and fun taught by professional coaches for people of all ages and physical fitness levels. CLASSES RETURN TO THE SAILOR CIRCUS ARENA! We offer a variety of classes for all ages and skill levels!